Foot traffic in Bay View Terrace has been recorded since July 2013. Two counters provide different profiles. One is at Empire Furniture. 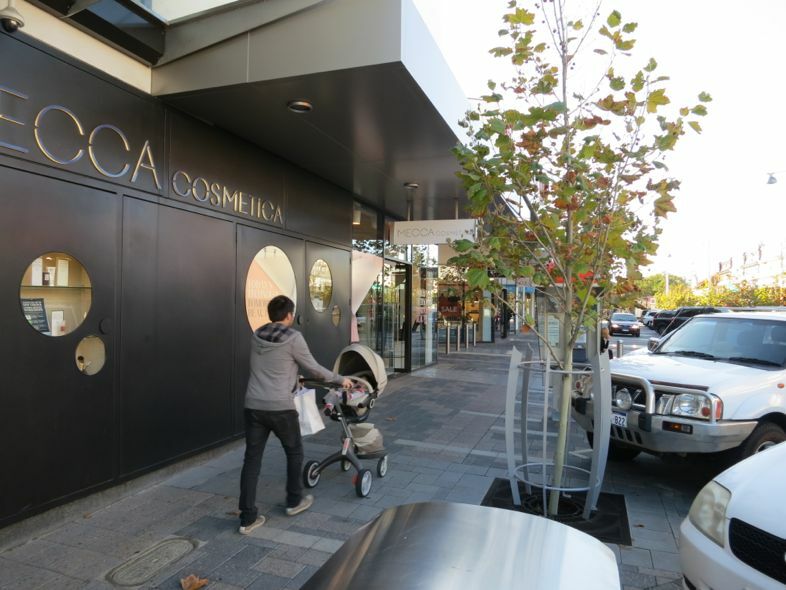 The second is across the road, at Mecca Cosmetica. Above: The first people counter being installed in July 2013. Empire Furniture, next to Claremont News. Below: This is where the second people counter is installed: Mecca Cosmetica. Empire Furniture: The greatest footfall was 4,371 people on Thursday 13th and the lowest: 1,755 on Sunday the 9th. 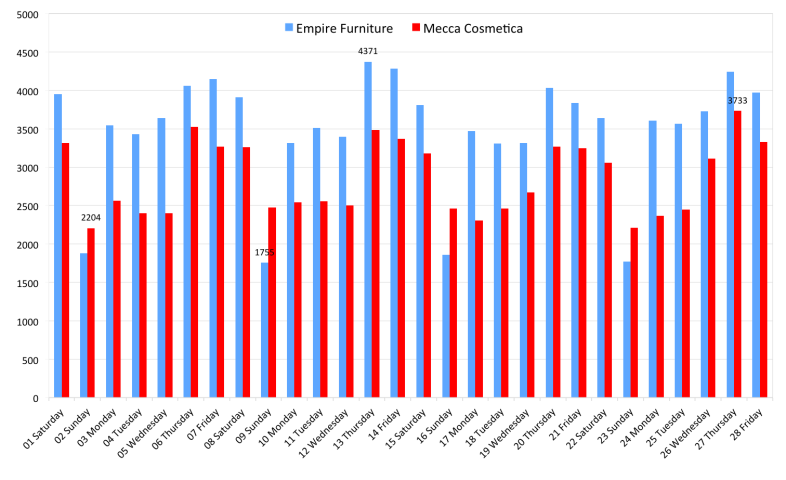 Mecca Cosmetica: The greatest footfall was 3,733 people on Thursday 27th and the lowest: 2,204 on Sunday the 2nd. 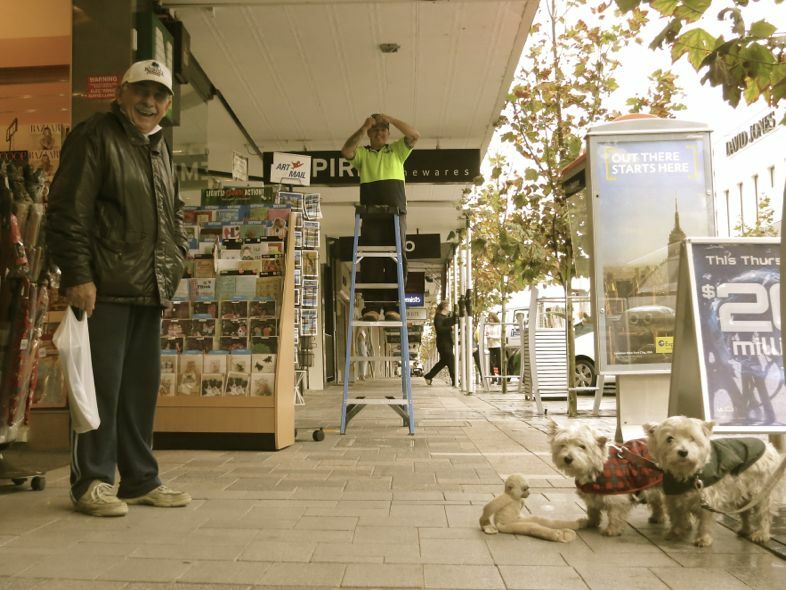 Empire Furniture: The busiest day is Friday with a long-term average of 4,000 people per day. 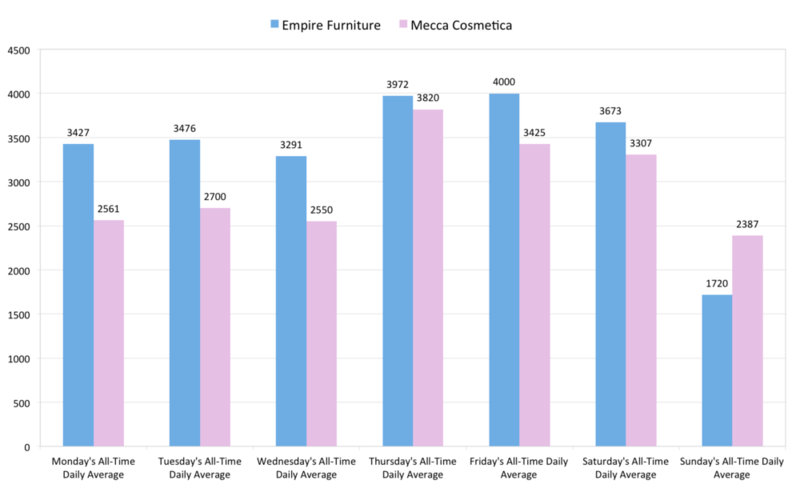 Mecca Cosmetica: The busiest day is Thursday with a long-term average of 3,820 people per day.